Applying for planning permission is a complex process that can vary significantly from place to place. New Forest Log Cabins offer a professional service to help you achieve the planning permission you need for your project with initial telephone advice, which can be backed with site surveys and knowledge based on experience of helping customers to get planning approved for their Mobile Log Home, Holiday Lodges, School Nursery, Visitor Centre, Café, Holiday Parks, Poolhouses and Office Buildings. Will I need Planning for my Log Building…?? 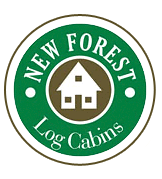 New Forest Log are now able to deliver a completely bespoke Transportable, Mobile or Temporary Lodges that can be built on clients land and require minimal planning permission. You will need to contact your local Planning Department and ask for the form to construct a Granny Annex in your garden as a temporary structure under Permitted Development. The application will cost anything from £150 to £330 and take around 6 to 8 weeks to come through. You will also need a site plan showing where the cabin is to be located and scale drawings showing elevations and floor plans..! If you would like me to complete the application for you, we charge £200 + VAT for the service and act as your agent for the application. This fee is returned to you should you then go on to purchase the log building from us.. If you require a more detailed discussion we can arrange a site visit or conferance call for a fixed fee. Please select the Contact Us Tab and pick "Discuss Planning"